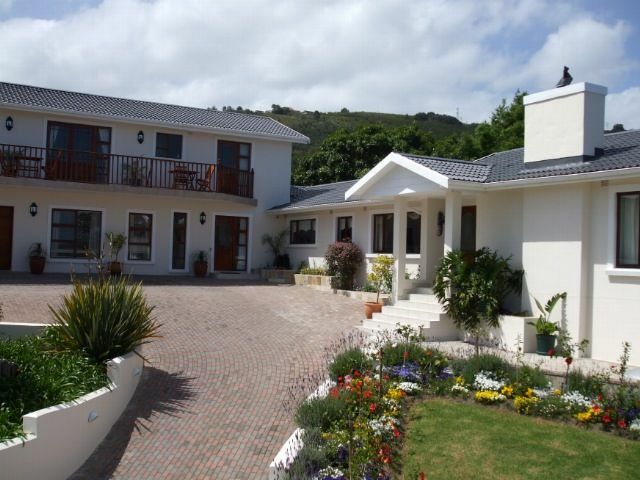 Candlewood Lodge is a lovely guest house in Knysna which enjoys spectacular views of the famous Knysna Lagoon and through The Heads to the sea from nearly every window. 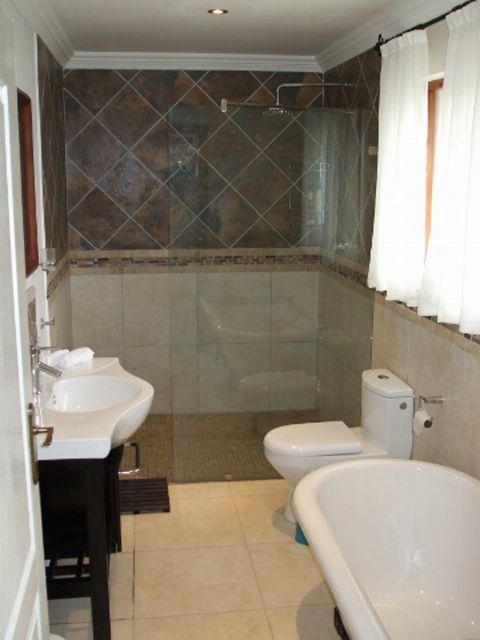 The guest house offers six rooms, each tastefully appointed in different styles. All of the rooms are air-conditioned and furnished with comfortable twin beds that can be converted into a king-size bed, or queen-size beds with percale linen. 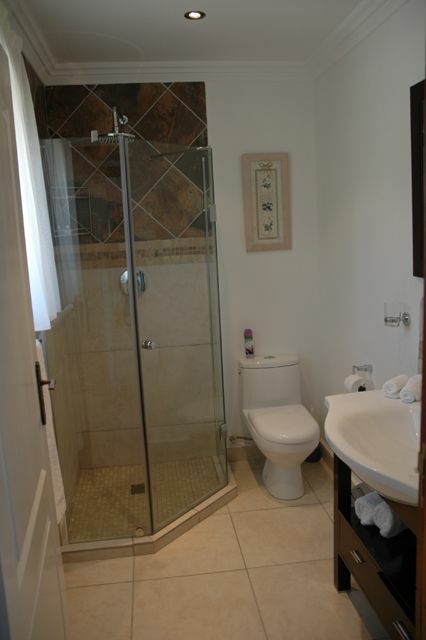 Each room has an en-suite bathroom with a shower, while one room has a bath only. The rooms are also equipped with TVs with DVD players, wall safes and tea and coffee facilities. 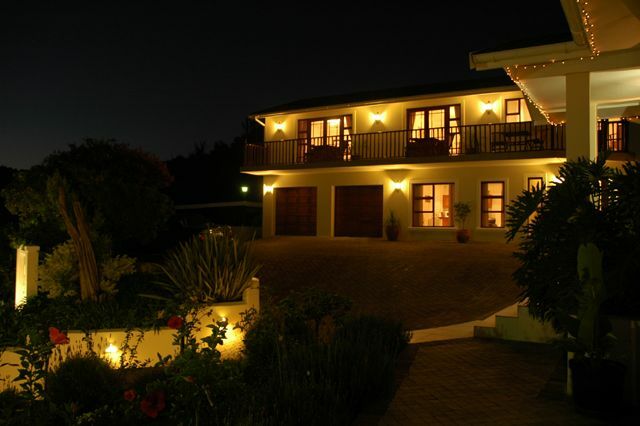 The lovely Storm Suite is ideal for three guests or a small family, and it has a kitchenette and DStv access. The upstairs rooms have balconies with stunning panoramic views across the lagoon to The Heads, while the downstairs rooms have separate entrances and open onto a lovely deck with views of the garden. Guests can enjoy delicious meals in the courtyard which has a fountain, relax in the garden with its large sun deck or cool down in the inviting swimming pool or the outdoor Jacuzzi. Guests can also read in the atrium with its extensive library or have a drink and relax in the bar area. 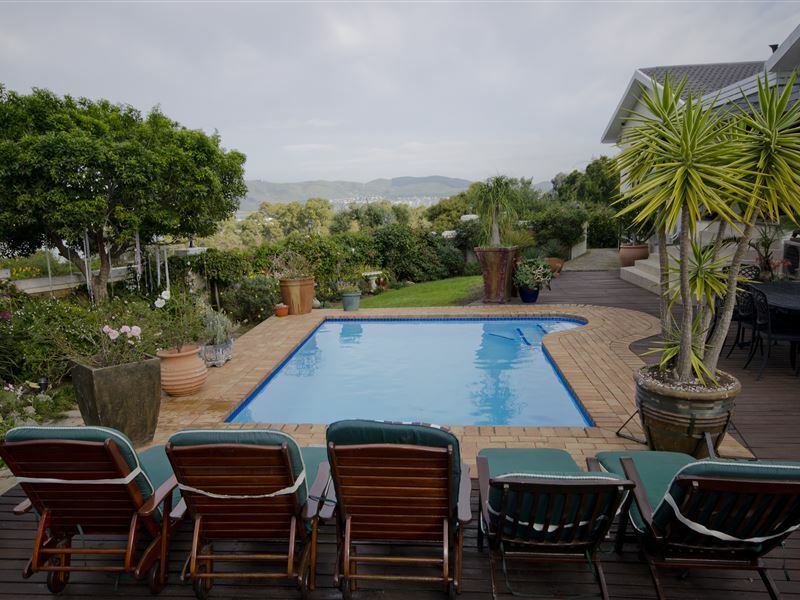 Knysna offers guests a variety of attractions and activities such as horse riding, sailing, relaxing on the beaches, hiking or walking in the Feather Bed Nature Reserve or the Hakerville Forest. Gastronomic pleasantries are abundant in town and we are located within minutes from the town centre and three golf courses. 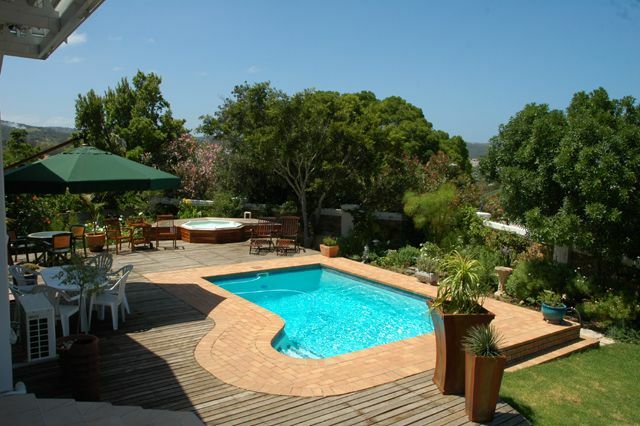 Candlewood Lodge is the ideal place to stay whilst you explore the surrounding attractions. Wow...friendly hosts. Beautiful view of the Lagoon and also swimming pool. We stayed at Candlewood Lodge for 2 nights during our honeymoon trip. Candlewood was one out of 4 guesthouses along the Garden Route and now that we made it to our last one, we can truly say that it was the best! Ines and Andy are super great hosts, very professional, extremely helpful and nice and they make you feel welcome the minute you are at their doorstep! Excellent breakfast prepared with love and dedication. 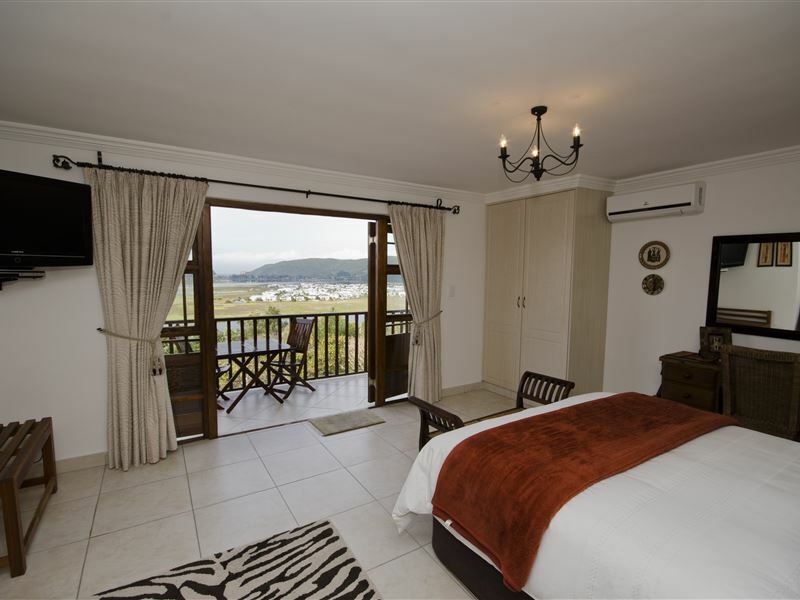 The rooms are just amazing with the best view over Knysna lake.You guys are the best! Keep doing what you're doing! Very well appointed, and super service! From start to finish, our stay was truly fantastic. We were welcomed by Andreas with a drink and then his wife Ines brought us some lovely fresh fruit and refreshing hand towel. We got an amazing run through of Knysna and a really helpful map to accompany it. Our room was beautiful and the decor spot on. After talking with our lovely hosts it was clear how passionate they are about the area and South Africa. Almost everything has been locally sourced, including the coffee, soaps and drinks in the rooms. Attention to detail was second to none - we were given a lovely little gift (a locally made soap) as a honeymoon present and the turn down in the evening included a sweet treat and a bedtime story rolled up and hung on the door. There were little welcome treats left by the front door to spoil us and candles lit in the evenings to give a relaxed and romantic glow. The breakfasts were incredible. Fresh juices and beautifully brewed coffee (the best we had on our trip in SA). Again, the emphasis was on local produce - from local cheese and milk, to delicious dried fruits and hand made preserves and cakes. Not only did we have tonnes of sweet and savoury options from the buffet but also a main option - these included fluffy omelettes to sweet French toast. We were in breakfast heaven. The lodge and room were immaculate and spotlessly clean. The amenities in the room were great - electric blankets, robes, slippers, yoga mat, extra blankets, mini bar and our very own telescope to look out at the view and stars! The only very small negative (and it is small) - there was no shelf in the shower to pop toiletries on, so we had to keep them on the floor. The lodge was made even more homely by a gorgeous and very well behaved Rhodesian ridge back - he posed perfectly for pictures! 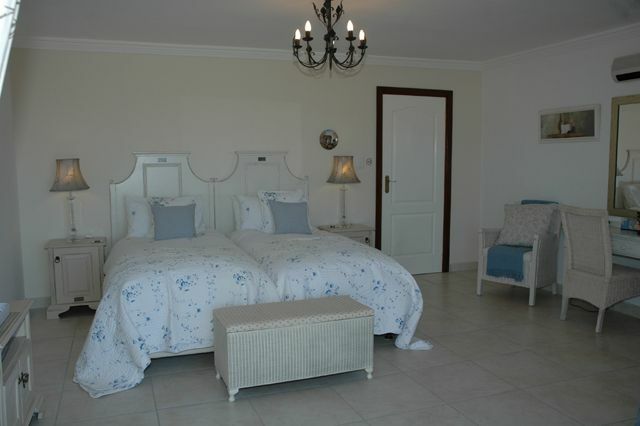 Would definitely stay here again and recommend it to anyone looking to stay along the Garden Route. Most definitely a cut above. Attention to detail from a lovely team who own and manage this gem in Knysna! Loved every bit of our stay here. Well equipped facility. Fast Internet and Netflix. Staff members are extremely friendly and thoughtful and they are willing to assist on anything regarding the stay and activities in Knysna. Delicious breakfast. Lots of space for the visitors. The host provides thorough service and you will be touched. It is worth the money I spent! They made us feel very welcome. They were very hospitable! I would highly recommend Candlewood Lodge. 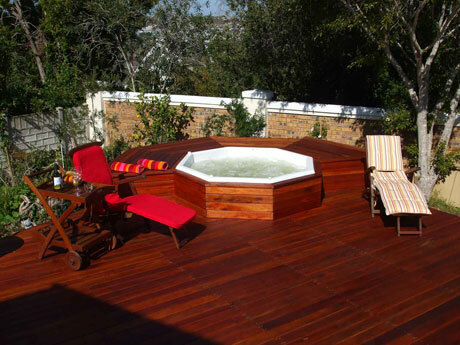 Request a quote from Candlewood Lodge at no obligation. Candlewood Lodge is within a convenient distance from the beach.